Oh So Stoned has been steadily climbing it’s way into people’s hearts. 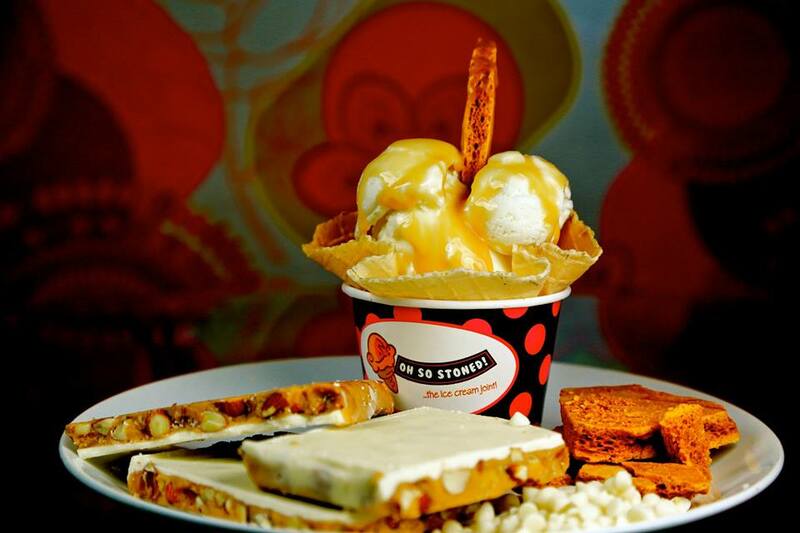 Their fun ice-cream creations and delicious desserts have been one of our favorites in the city. Now with the launch of their new outlet, they’ve introduced “The Munchies”. We shall be hosting a Date with Vijay Deverkonda at the new outlet of ‘Oh So Stoned’. From his rich boy portrayal in ‘Life is Beautiful’ to winning hearts with his character Rishi in the superhit film Yevade Subramanayam, he’s been steadily making his mark. Contest details are below. The new Oh So Stoned outlet in Jubilee Hills, brings with it the same vibrant atmosphere but with lots of new creations. Their ‘Dig It’ features a sinful conception of softy ice-cream, almonds, wafers, choco chips and so much more in a large mug. The Munchies menu is the most interesting of them all. You get to choose your own base of Fries, Wedges, Macaroni and Onion Rings with your own choice of sauce. Depending on your mood it can be The Italian Job or some Balle Balle with Punjabi by Nautre. A little bit of smokiness from the Smoky Barbecue or a cheesy dip with The Jamaican Jerk. What more are you waiting for? Enter the contest below to win a free Coffee Date.